In 1978, a young musician named Enoch Ndlela was working behind the scenes in PR for an established independent label finding success in the apartheid-era South African music industry. A regular in the burgeoning multiracial nightclub scene on the fringes of Johannesburg that defied apartheid, Ndlela was in the midst of the new electronic disco sound that was taking over, the sound of Giorgio Moroder and Donna Summer, as well as 10-minute epics like Santa Esmeralda’s ‘Don’t Let Me Be Misunderstood’. In a segregated South Africa, disco offered a ray of light. Already some local acts like Blondie & Pappa were following this new direction, while Trevor Rabin had a crossover hit with Disco Rock Machine, shortly before his departure for London and later LA. Ndlela, wanting a release for the CTV label that would serve the nightclub market, teamed up with the label head Maurice Horwitz to pen ‘Burnin Beat (It’s Hot)’. 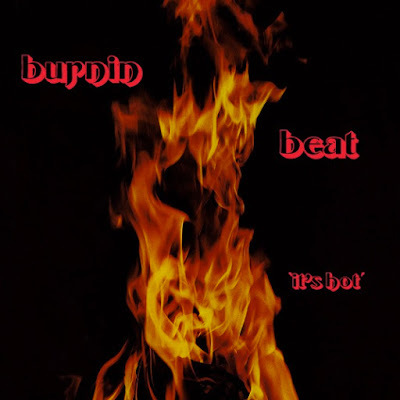 The name of the project took on the same name: Burnin Beat. They hired a team of session musicians and a young singer named Olive Masinga to record the track, along with a B-side called ‘Searchin'’. Masinga was a young stage actress with a powerful voice that landed her in the cast of numerous productions by ‘the father of township drama’, Gibson Kente, including on the 1977 albums Heartbreaker, where she led the G Kente Voices, and Can You Take it. That year she also released a solo album, I’m For Real. The result of the Burnin Beat recording sessions was a 12” that immediately disappeared into obscurity. Internal politics at the label led Ndlela to join a larger company. Without someone to promote the release to clubs and radio, CTV gave the album to another label, RPM, to distribute, but they soon lost interest. Following its release in 1979, copies of the Burnin Beat only seemed to make it into the hands of a few club DJs, and barely if at all onto record store shelves. Radio didn’t touch it either, and the song was certainly never performed live. Sadly, Olive Masinga never found the fame she deserved. A few years after the release of her 1985 solo album Nobuhle, the singer met an untimely end in a car accident in 1990 on her way to join the production of Mbongeni Ngema’s Township Fever in the USA. Nearly four decades since Burnin Beat’s ill-fated release, in recent years it has somehow made it into the hands of a few notable diggers, among them DJ Harvey, spurring an unlikely interest in this long-forgotten piece of South African disco history. Remastered from the original master tapes, Burnin Beat is the first release on Johannesburg-based Afrosynth Records. Order via RushHour.